"Lee Smith is an exceptionally experienced, talented and results focused C-Level Executive Coach. She is a pioneer in the coaching profession and one of the few I know who can coach effectively at the board room level. Lee has a rare combination of integrity, strength of character, humility, calm yet fierce resolve, gentle spirit and possesses powerful coaching tools and strategies. She creates and sustains a success oriented environment that allows the client to experience their desired personal and professional results. If you are CEO, COO, CFO, CIO or senior business executive who wants to strengthen yourself and your enterprise to achieve stronger bottom line results, call Lee Smith." Dr. Lee Smith is a pioneer in the executive coaching profession and is passionate about optimizing executive education, leadership development and performance in the individual leader as well as his or her team. Lee uses the innovative Break Through Consulting Coaching process developed specifically to assist professionals, business leaders, CEOs, Boards of Directors and their organizations to achieve breakthrough results. With Lee as an agent of change, hundreds of leaders have broken through personal and professional roadblocks to grow to the next level of performance and have discovered new energy and enthusiasm to more creatively address the issues they face in our rapidly changing world. Prior to joining Break Through Consulting, Lee served many years with Sun Oil Company as Director of Professional Development. During her tenure she developed and led some of the first processes for successor/mentor relationships for professional and leadership development. 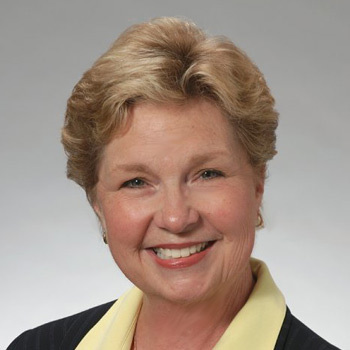 With a PhD in Organizational Behavior from the University of Texas at Denton, and a BS in Business, Dr. Smith holds one of the first international certifications as Master Certified Coach with the International Coach Federation and has served on various Boards of universities and coach training organizations. The outgoing CEO of a large commercial real estate company and his successor transitioning into the CEO role. While holding strong technical skills, the successor's leadership skills were lacking. The coaching process began with tough 360-feedback and an ambitious development plan resulting in strong commitment by the successor. Success of the coaching initiative was measured by the strength of loyalty and trust conveyed and transferred to the successor, thus preserving the brand for the future of the organization, stronger now by the depth of leadership. A newly-hired division President who was brought into the organization to lead a major business turnaround. Coaching supported him when his leadership behavior and communication prevented him from making progress with the existing team. Through coaching, he was able to foster the leadership relationships and develop needed strategies to successfully turn the business around with only 8% attrition, thereby preserving the division. A President of a global manufacturing company who began the coaching initiative for himself and his team in an economic downturn. By raising the levels of leadership with coaching in the executive team, the company was able to strategically shift the customer base, align the team with minimal silo-ing, and enter the upturn in the economic cycle with a maximized business position. Director Human Resources - Sunoco Energy Development Co.